Hanoi (VNA) - Photos by three Vietnamese photographers have been selected as winners of the 2018 SkyPixel Aerial Photography & Video Contest – an annual contest held by SkyPixel, one of the world’s popular aerial photography communities. The photo Flowers on the Water by female photographer Khanh Phan from Ho Chi Minh City won first prize in the Fun Category. The photo depicts workers carrying salt to the warehouse on Vietnam’s largest salt field – Hon Khoi in Ninh Hoa district in the central province of Khanh Hoa, about 45km from Nha Trang city. 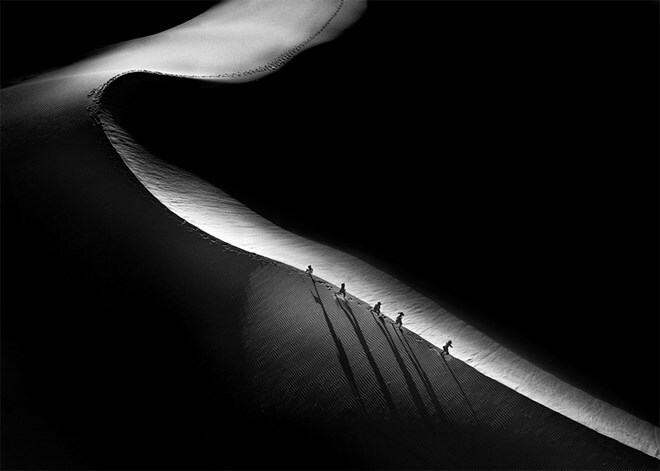 Pham Huy Trung’s photo Running Through The Sand Dunes, depicting a group of kids running through the sand dunes near their home in Phan Rang-Thap Cham city, south central Ninh Thuan province early in the morning, was named first prize in the Sport Category.